Thanks to all our backers! Zizkek is almost there. He just needs a little more kick, so tell your friends and family the future needs their help!! National Press & Local Appearances for Blue Bike! The Blue Bike is picking up speed! New Reward! An official Blue Bike brand Tesla Patent t-shirt. New Blue Bike time traveling photo booth! 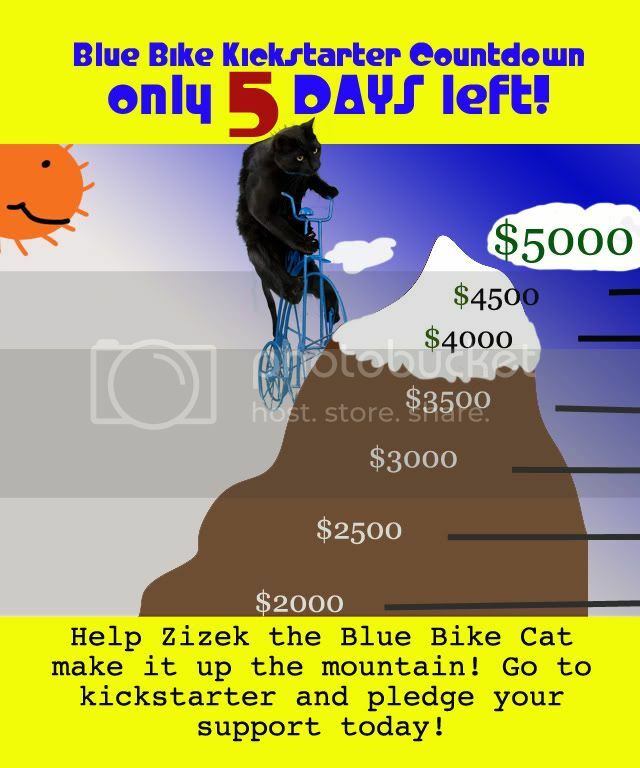 Thanks to all our backers so far, here is a short video to share the word about Blue Bike.